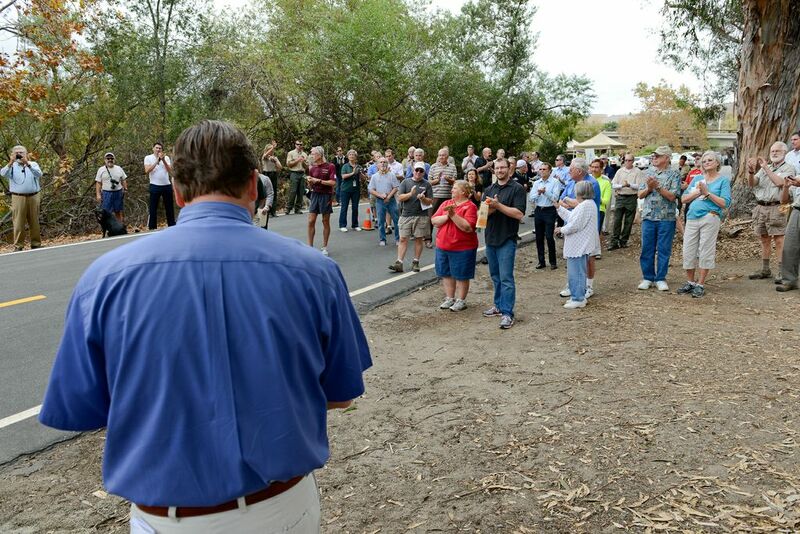 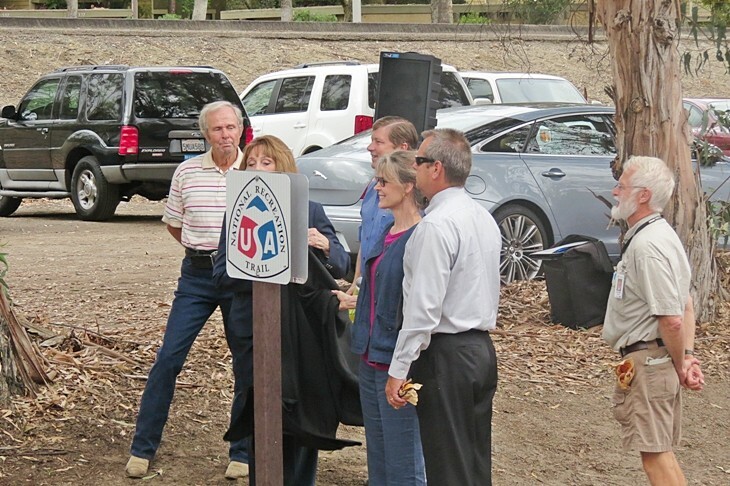 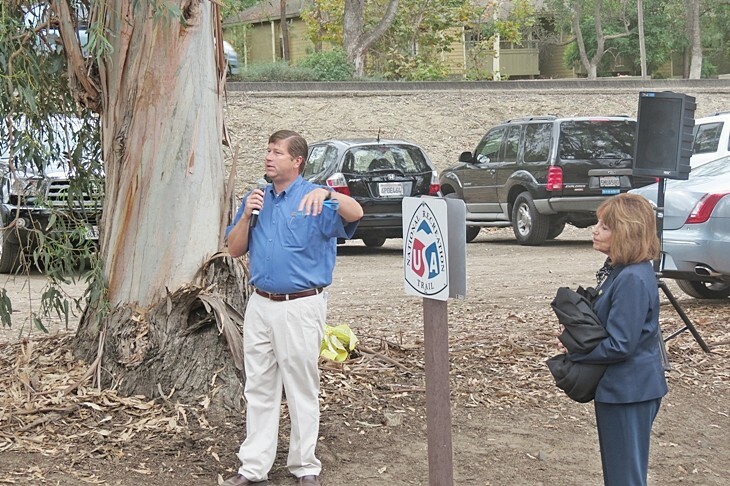 The Aliso Creek Regional Riding and Hiking Trial was recognized by the U.S. Secretary of Interior as an exemplary local and regional trail as part of America’s national system of trails. 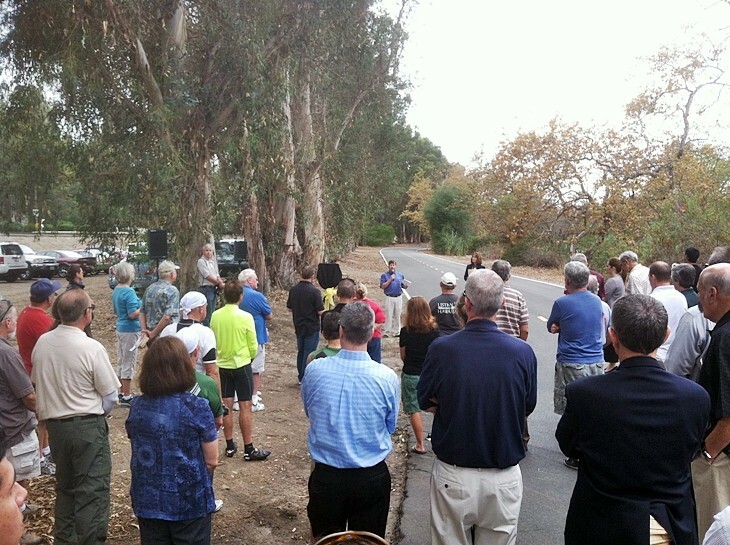 The dedication event was held on 10/18/12, and was well attended by local officials, county staff and hiking and biking enthusiasts of the trail with the highlight being the unveiling of the National Trail marker. 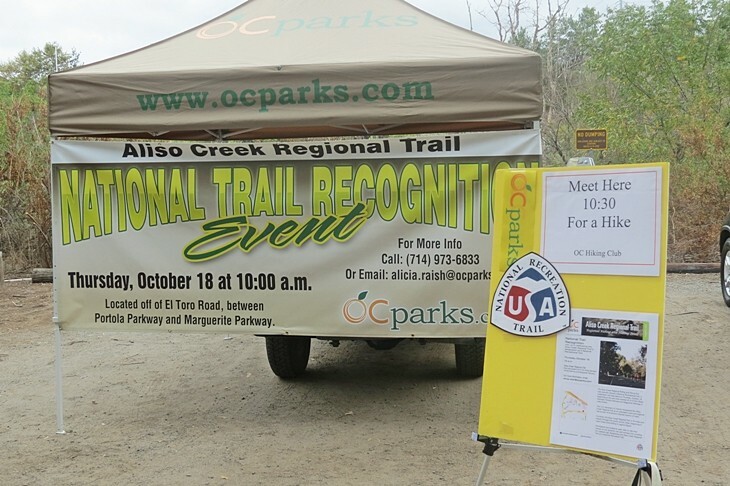 Thanks to Alicia Raish of OCParks for providing the above photo taken by Chad Yanagisawa, and spearheading the recognition of the trail as a National treasure. 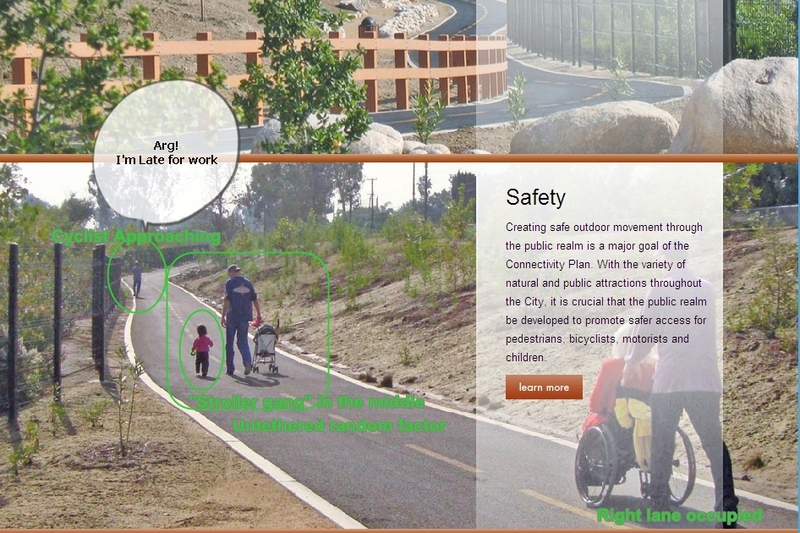 Currently, the Aliso Creek Regional Trail has 15 miles of asphalt bikeway, and soft trail designed for varied recreational activities including hiking, bicycling, walking, running, birdwatching and horseback riding. 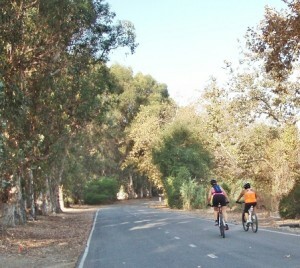 The soft trail is better suited to hikers, runners, horseback riding, and generally slower traffic. 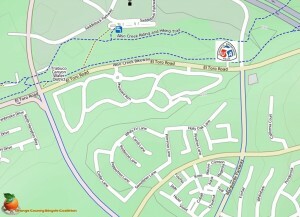 It runs for much of the length of the creek on the opposite bank, and there are plans to extend it the full length of the creek. 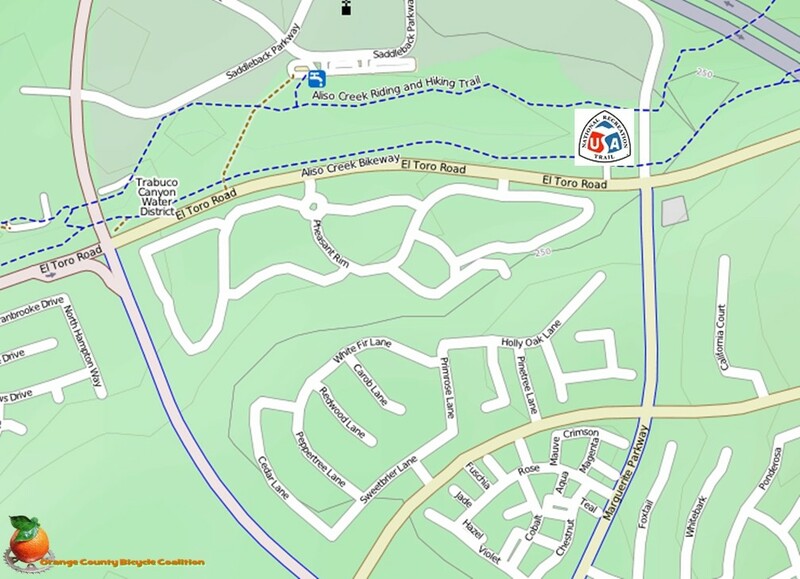 The trail links six schools, a community church, two skate parks, and ten community parks together and offers a wide variety of geography throughout its length from hard concrete channelized infrastructure to tranquil settings that soothe the soul. 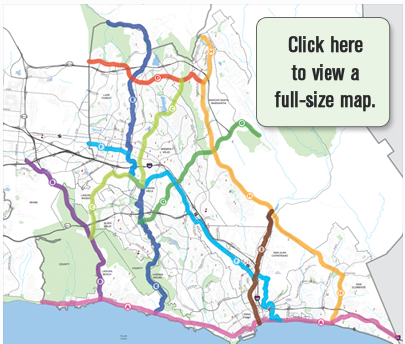 The trail traverses five south county cities, extending from the foothills of Orange County near Cooks Corner, past the McFadden Ranch House, and follows Aliso Creek downstream all the way to the boundary of Laguna Beach within a few miles of Aliso Beach in South Laguna. 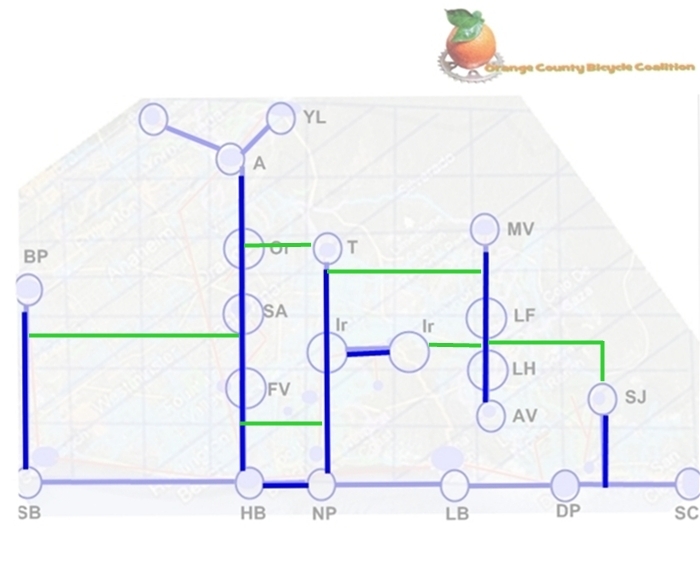 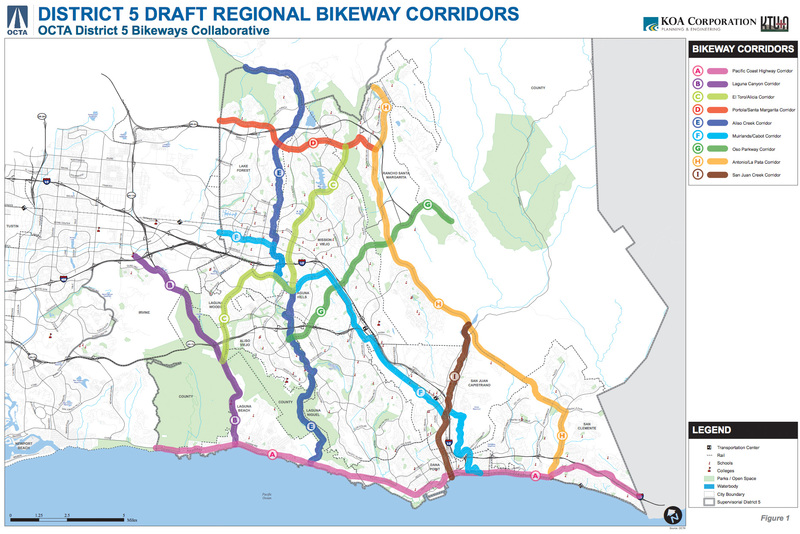 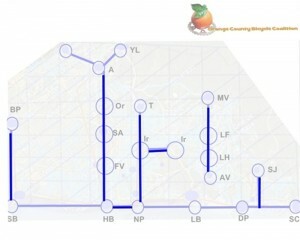 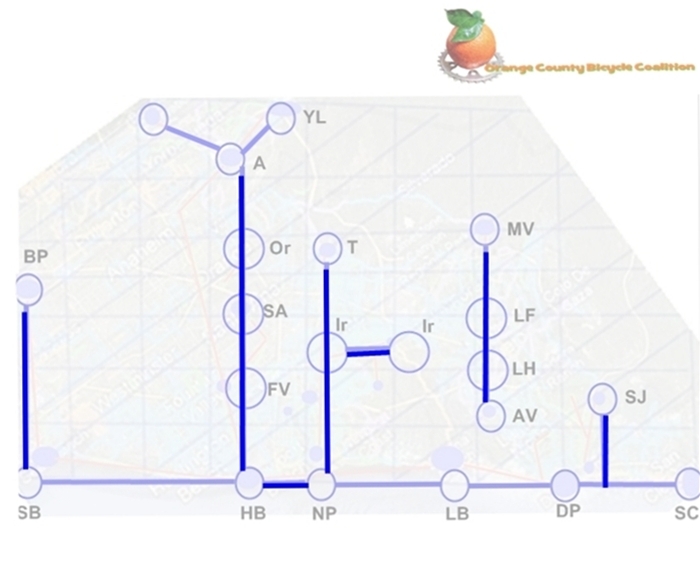 Moulton, Muirlands, Irvine / Trabuco, Portola, and Santiago Canyon / El Toro are great routes to link to this trail which is an integral link in the OC BikeBone.